Apparently it's been two years since I submitted my PhD and started designing knitting patterns full time. 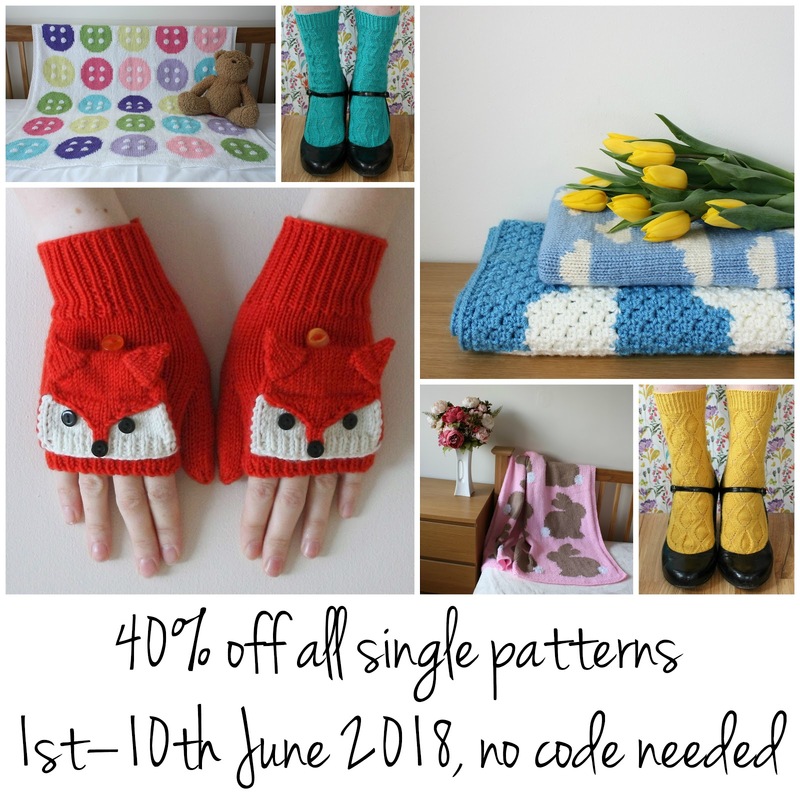 To celebrate, I thought I'd have a flash sale: from June 1st to June 10th 2018, you can get any single patterns in my Ravelry store with 40% off. What do you need to do to claim this offer, I hear you ask? Simply head over to my Ravelry store, add the patterns you want to your shopping basket, and the 40% will come off automatically when you check out. Why not treat yourself? Head straight to my Ravelry store now.